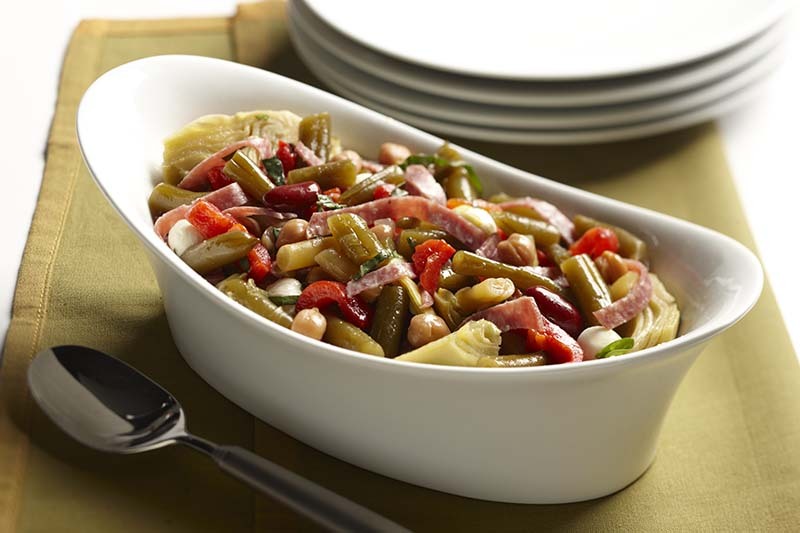 Classic salad of green beans, wax beans, kidney beans plus chickpeas in a vinegar based, sweet-tangy dressing. Serve chilled or at room temperature. Green Beans, Water, Wax Beans, Kidney Beans, Garbanzo Beans, Sugar, Distilled Vinegar, Dehydrated Onions, Red Peppers, Salt, Soybean Oil, Turmeric. Potluck Bean Salad: Drain Bean Salad. Toss with bite-size pieces of cooked ham or chicken, sliced celery, chopped bell pepper, cooked corn and prepared vinaigrette. Mediterranean Salad Supper: Drain Bean Salad. 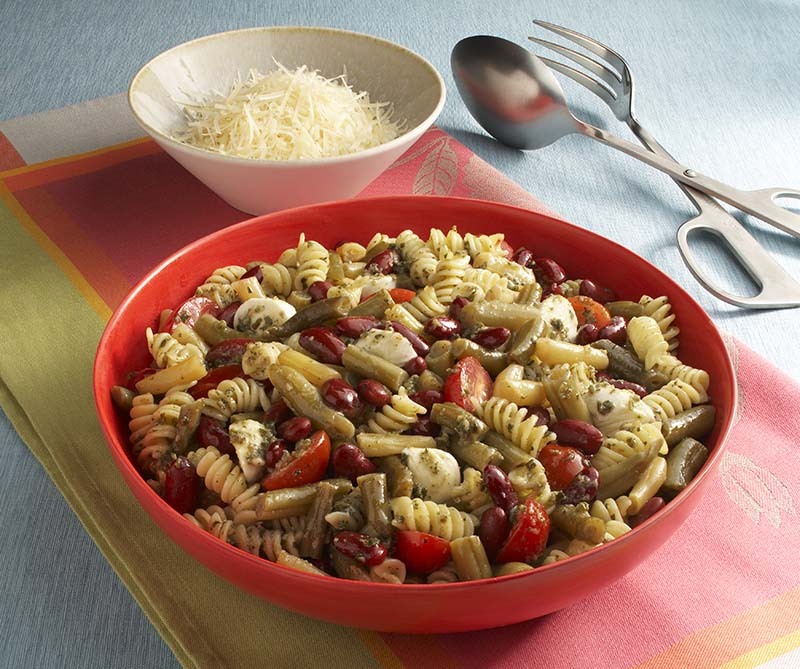 Toss with shredded Parmesan cheese, marinated artichoke hearts, jarred roasted red bell pepper strips and sliced olives. Add cooked chicken or shrimp. If desired, toss with prepared vinaigrette. Simple Side Salad: Arrange bagged salad greens on platter. Top with drained Bean Salad. Drizzle with creamy Italian dressing; toss lightly.